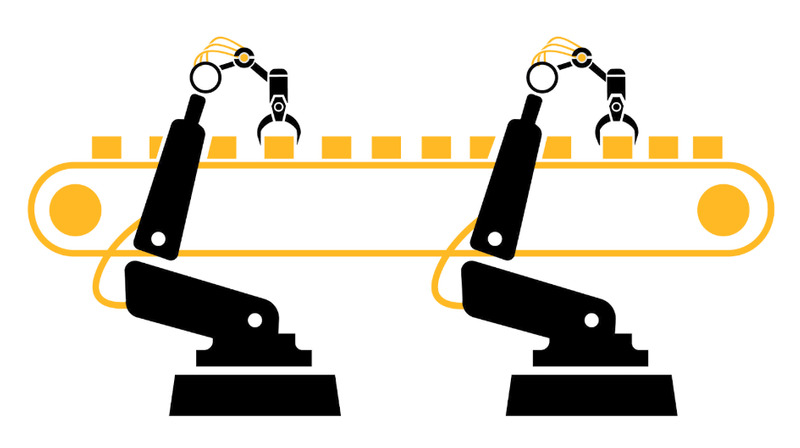 There have been two notable workplace automation revolutions. The first wave of Automation was the invention of machines that ran on fossil fuels in the late 1800s during the Industrial Revolution. These rigid machines were great at accomplishing the same exact thing over and over again. However, they served a specific purpose, could not operate with any level of precision and required significant investment to get started. The second revolution of Automation occurred in the 1960s to 1980s where the invention of the computer helped drive the increase in precision applications and machines such as robotic arms and laser cutting machines that could be used for multiple applications and could be reprogrammed in a relatively short time to accomplish different tasks. The 3rd Automation wave that is starting because now these computers have advanced in processing capability and now incorporate machine learning abilities. According to Arthur Samuel, Machine Learning gives computers the ability to learn without being explicitly programmed. Think of this as humans can give a robot a rough outline of a process and then the robot can adapt to any small variance in that process to accomplish the assigned tasks. For example, a robotic arm could learn how to pick up several different items by using its sensors and then remember that same item later to accomplish the task quickly without deep analysis. Up until today, humans were still needed to accomplish basic repetitive processes such as packing boxes, driving cars or flipping burgers at fast food restaurants because of subtle nuances that need to be negotiated in these processes. For example, when packing boxes for an e-retailer, associates must manipulate several different products that vary in size and shape. The overall process to pack a box is the same, but each job requires associates to manipulate objects differently each time to make them fit in the box. One can see how this same logic also applies to vehicles negotiating the road and flipping burgers. When robotics are equipped with machine learning computers, they can now recognize these different nuances and “solve a problem” to meet the desired result. These actions are no different than a human that accomplishes these processes and more importantly these robots can work more than 40 hours a week and don’t need sick days or vacation. It is important to note that this does not mean that these automation driven systems will be able to learn from nothing; these processes will require significant human programming in order for these machine learning algorithms to do their job. Machine learning is not AI. AI is the theory that computer systems will eventually be able to accomplish what human thought can currently accomplish. I do not believe that the total takeover of computers is on the horizon, but this still means a significant number of people will be displaced from their existing jobs. If you are currently in a job where you accomplish these repetitive slightly nuanced tasks, now is the time to start learning something new. Please note this does not mean paying a bunch of money to go back to college for another degree. The college school system routinely lags behind new technologies so it would be a waste of your time and money. You have the wealth of information at your fingertips via the internet so spend a little time each week learning about a new subject that may interest you. Now is the time to start thinking about how to posture yourself for the future and find something that you are passionate about that does not involve repetitive tasks. In upcoming articles, I will be discussing ways to become agile in your life so when automation driven by machine learning becomes common you can be resilient and stay competitive in the marketplace.